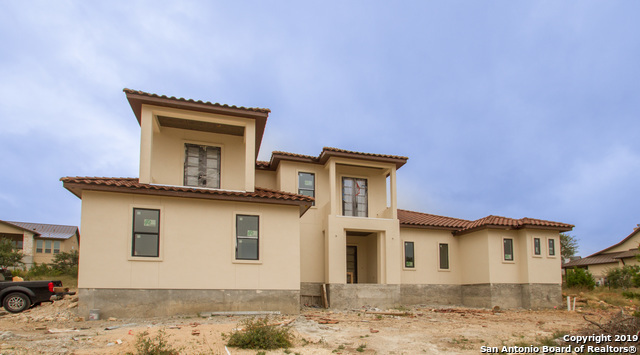 All CANYONS AT SCENIC LOOP homes currently listed for sale in San Antonio as of 04/24/2019 are shown below. You can change the search criteria at any time by pressing the 'Change Search' button below. 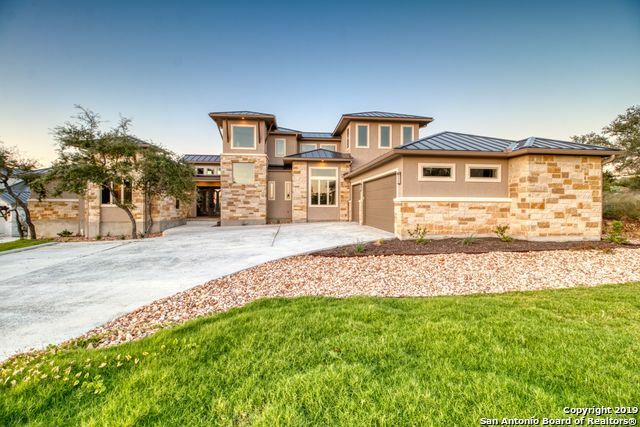 "Exceptional estate in the sought after Canyons at Scenic Loop. 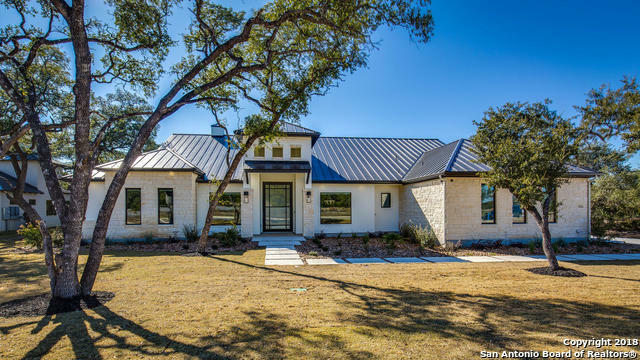 Built by Adam Wilson, this open concept, contemporary home was designed to enjoy magnificent Hill Country views for miles. Stunning diamond polished concrete floors. Warm wood & impressive stone accents throughout. Entertainers kitchen w/incredible quartz island. Floating staircase. 7 Bedrms (4 downstairs), all en suites. Beds 6&7 are current gym (w/steam shower) & study. Dual master closets. Gameroom. Motorized solar shades. Pool/sp"
"Perfectly positioned w/captivating views! Dramatic style w/lavish finishes. Grand entry opens to soaring ceilings/spectacular lighting. Sleek chef's kitchen, professional gas range/custom cabinets. Great room opens to oversized covered patio, pool/spa/summer kitchen. Custom sliding doors bring the outside in. Private Master Suite w/outside access. Elegant master bath w/his/her closets, remote shower. Game room (2) up w/wet bar. Balcony overlooks pool w/swim lane/fire/water features. This home h"
"Santa Barbara designed estate ft luxurious living spaces&designer details found throughout.Chefs kitchen w/prograde stainless steel apps&gas cooking w/large waterfall edge marble island.Superb master suite&spa like bath,large walk in closet w/extensive builtins.Guest bedroom on main level w/ensuite bath.2 spacious guest bedrooms down w/large game room,full wet bar&patio access.Made for entertaining w/modern xfinity edge pool&spa,cov'd patio, full summer kitchen w/picturesque vistas as backdrop." 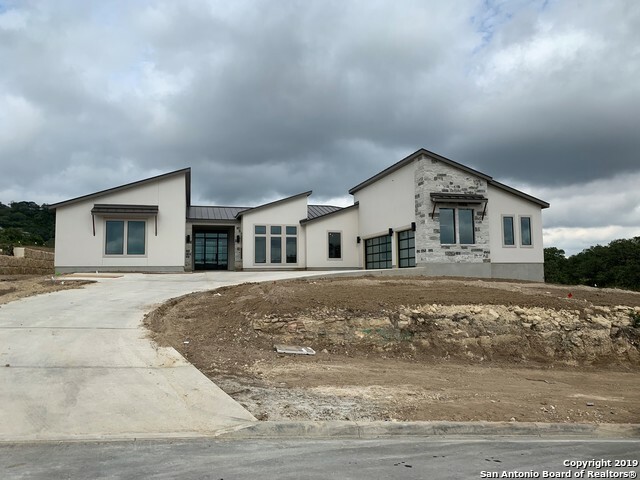 "NEW CONSTRUCTION* COMPLETION SPRING2019* CUSTOM BUILT home by Master Builder JRS Custom Homes,Inc. & Award Winning OF Design Oscar Flores. 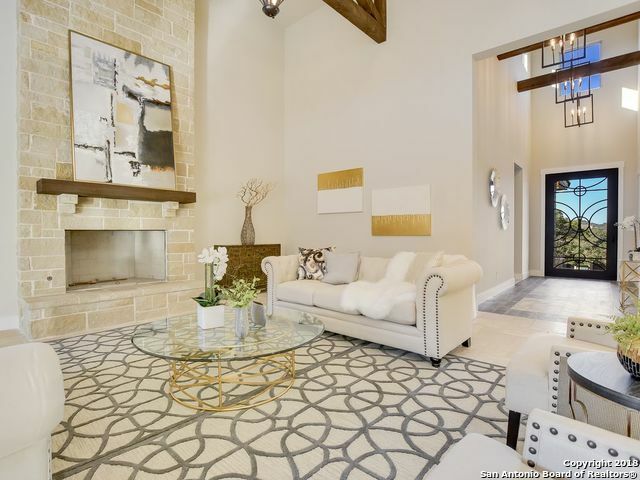 This Modern/Contemporary w/stylish details, spacious floorplan. Emphasizes family & entertaining. 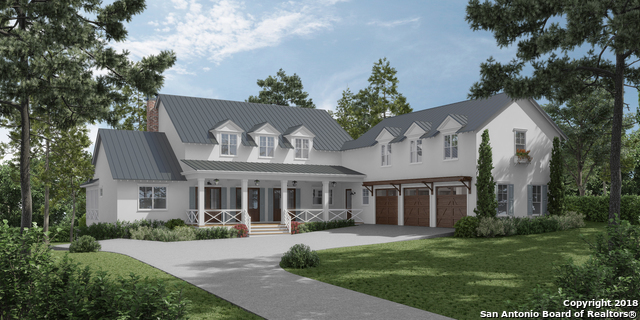 Luxurious Master w/generous bedroom & spa-like bath w/his & her vanities & freestanding tub. Gourmet Kitchen oversees entertaining & features premium appliances, custom cabinetry & modern finishes. Other areas: 2bedrooms &Mother-in-law suite each w/bath & walk-in"
"World Class is now in San Antonio! 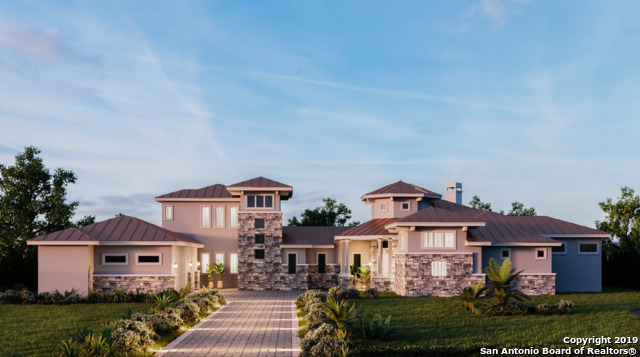 Cheryl Ladd Signature Homes is breaking ground in premier neighborhoods. 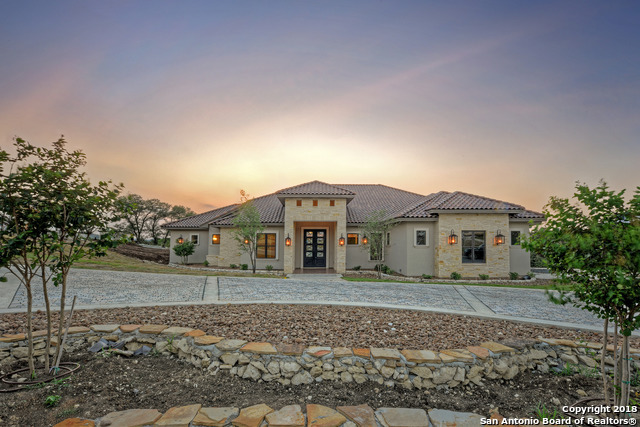 This architectural fusion of Santa Barbara & Texas Hill Country is designed specifically for unique building site featuring long-range view to the Southeast. Exterior features Slate Grey metal roof, large windows, porte cochere entrance to garages, covered outdoor living/kitchen area. 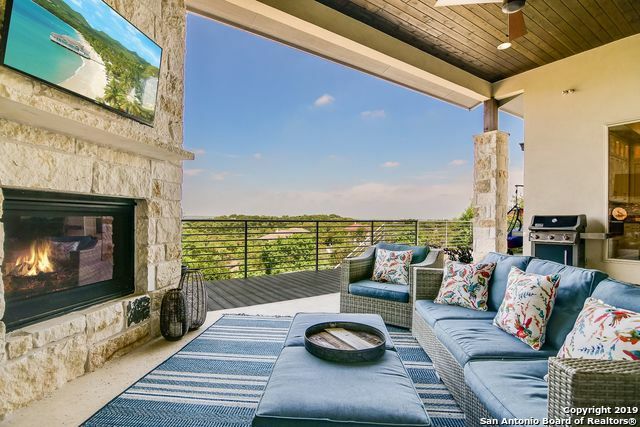 Interior features large expanses of windows, soaring ceilings, gourmet kitchen with Thermador appliances"
"Welcome home to your custom Texas Hill Country Retreat in the Canyons with too many details to list. Master & two bedrooms all downstairs, game room or 4th bedroom up with full bath. Custom lighting & window coverings & treatments, many on remotes, including the sun shade on the deck. Outdoor kitchen w/Lynx appliances & custom fireplace w/ leathered granite hearth. Views of pool and beyond. Energy efficiency even extends to the garage. Spectacular kitchen w/ high-end Jenn-Air appliances." 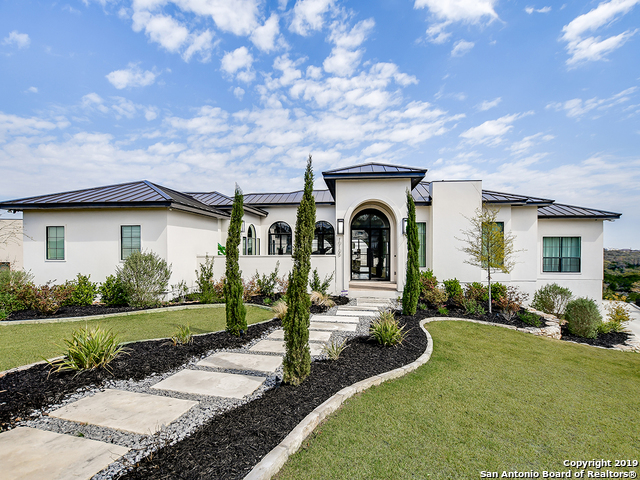 "Beautiful custom home under construction with bright open floor plan from Texas #1 custom homebuilder. Stucco and stone facade with metal roof. 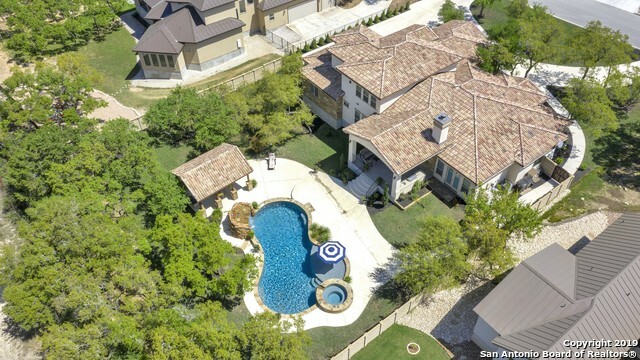 Lot was cut to provide a flat yard with room for a pool." "Spectacular bright and airy open floor plan! Beautifully appointed with gourmet kitchen, soaring ceilings, hardwood flooring and artisan accents throughout. Large windows capture picturesque canyon and long range views. Three bedrooms down, luxurious master suite with dual closets. Outdoor living area perfectly placed to enjoy afternoon summer shade or a cozy evening by the outdoor fireplace. Perfect for all life phases! 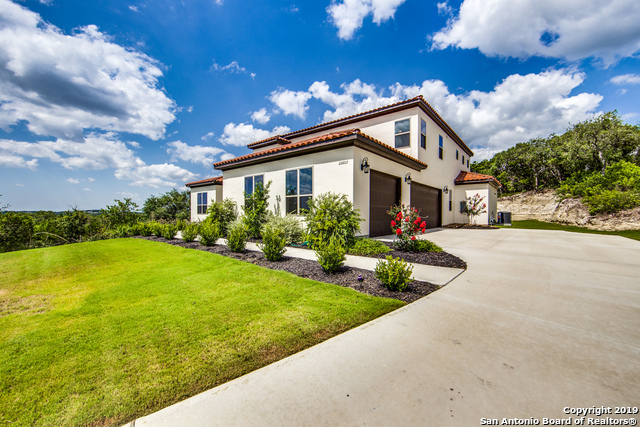 Easy access to IH10, Boerne, The Rim and La Cantera Mall." 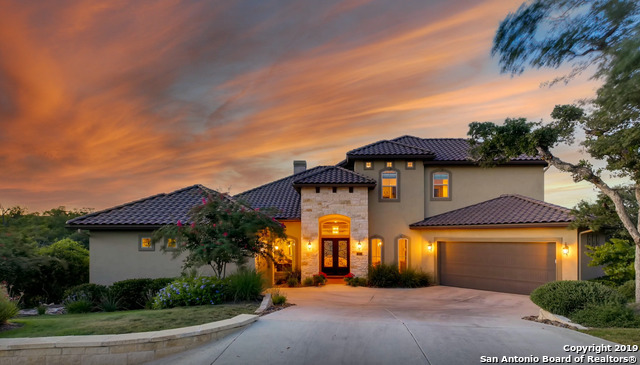 "This remarkable home offers total luxury wrapped in a private, Hill Country setting. Open floor plan w/panoramic views for miles. Chef Kitchen w/brkfst bar, prep island, gas cktop, dble ovens,warming drawer, & Thermador appliances.Walk-In pantry, Executive Study, Gameroom. Guest suite downstairs. 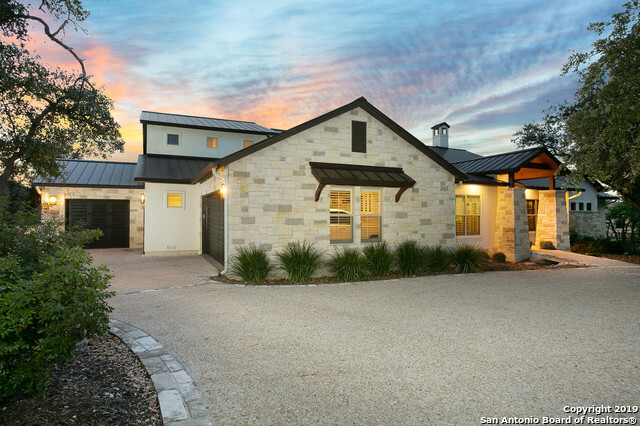 Spacious covered patio w/outdoor kitchen overlooking luxurious pool & the Hill Country.This estate sits on a secluded, cul-de-sac lot featuring mature trees, lush drought tolerant landscape, & backs to "
"Modern hardscape and landscape detail accent this gorgeous one story custom home TO BE BUILT iin The Canyons! Bright open floor plan with Smart Home technology will be highlighted with gorgeous finishes, Thermador kitchen stainless appliances, dual ovens, tray warmer, pot filler. Electric fireplace in the beamed living area overlooking outdoor kitchen, fireplace and living. Private master suite with Hotel Worthy spa bath with his/her closets, soaking tub & coffee bar. Ensuite bedrooms and media/"
"Inspired by architecture, art & fashion this luxury new construction is nestled in The Canyons at Scenic Loop & perfectly tailored to your lifestyle. 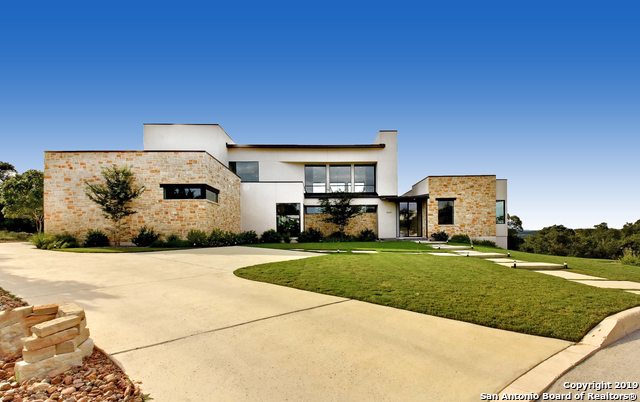 RegencyCustomHomes focus was on a classic contemporary feel for this home's interiors. The concept combines urban materials & natural landscapes throughout including 1 exceptional modern kitchen island, service kitchen, wet bar, fine chandeliers & exquisite fireplaces that can be enjoyed outside and indoors.The expansive terraces emphasize a relaxe"
"Tuscan Transitional with stunning views & roomy, open floor plan. Volume ceiling in foyer leading to two-story greatroom with trusses open to outdoor living area with massive sliding door. Enjoy outdoor entertaining w/fireplace & outdoor kitchen & private backyard setting. Four bedrooms, four baths down, w/gameroom & 5th bed/bath upstairs. Mud bench & spacious laundry just off of oversized 3-car garage. Master retreat w/free standing tub, huge shower, & abundant closet space! 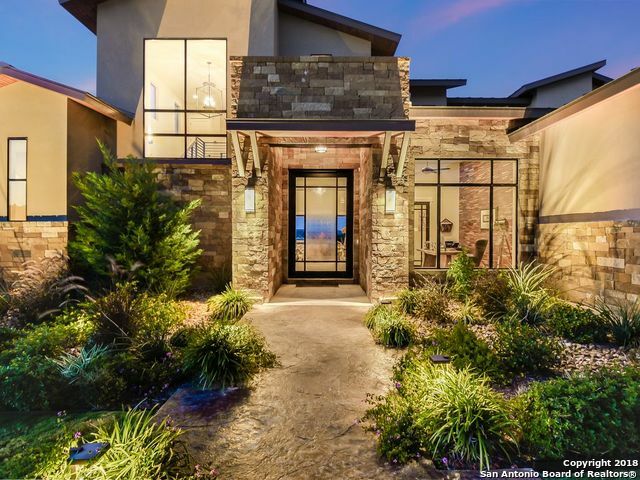 Stunning finishes t"
"Furnished model in the Canyons at Scenic Loop built by McNair Custom Homes is sure to be on your list of favorites with a first floor gameroom, study, loft, and media room. Island kitchen with stainless steel appliances. The master bedroom has its own private covered patio and dual walk-in closets. Secondary bedroom downstairs with full bath. Large utility room with room for an extra refrigerator/freezer. Three car garage with extra storage space. Outdoor kitchen." "SELLER WILL LOOK AT ALL REASONABLE OFFERS! Magnificent Luxury Home that will leave you stunned! The breathtaking foyer has a dual staircase that you usually only see in movies! ELEVATOR! Gourmet Kitchen that will make a Michelin Star Chef envious, Study/office with patio, 2 Masters (1 handicap accessible) and 3rd en suite bedroom with its own patio, powder rm...all on the main floor. Game Room with wet bar and large covered balcony, 2 nice sized bedrooms with bath upstairs. 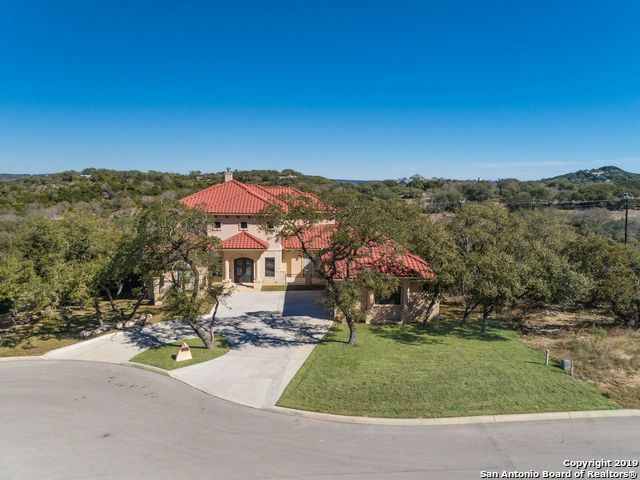 Nice Hill Country Vie"
"The Canyons at Scenic Loop near The Rim, La Cantera, UTSA, Medical Center, Northside ISD; Gated Entrance, Underground Utilities, Excellent Restrictions; Thoughtfully CUSTOM BUILT w/ 40yrs. combined experience by Buttrum Custom Homes, High Ceilings, 8' Doors, 5.25 Baseboards, Outdoor Kitchen, Slab Countertops, Made-to-order Cabinets; Exquisite CUSTOM INTERIOR DESIGN finishes selected by RLO Design, Custom Iron Front Door, Tile & Wood Flooring, Authentic Light Fixtures, Truly One-of-a-Kind"
"Custom home on acreage VIEW LOT with a full bath for each bedroom plus study and gamers. Atrium styled one story focused on indoor/outdoor living. Family, dining & kitchen open to patio with over 500 covered sq feet of living space & outdoor kitchen. Chef's kitchen w/large island, built in fridge and hidden pantry. Marble oversized master shower. 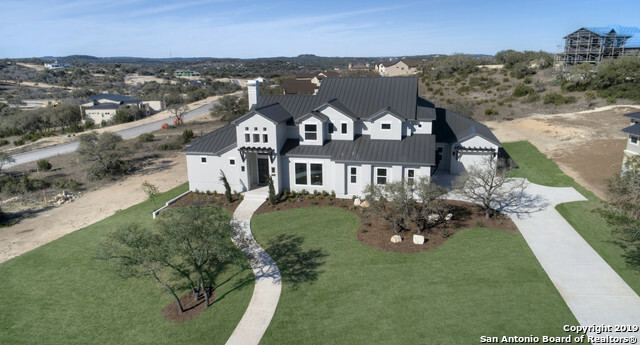 Foam insulation,TO BE BUILT PHOTOS ARE RENDITION"
"Tucked into the Canyons, this estate offers total luxury in the gorgeous Tx Hill Country. Here you'll find an open floor plan, chef kitchen w/ large island, premium appliances, gas cooktop, double ovens & oversized walk-in pantry. This 5 bed features a downstairs office, upstairs media room, high ceilings & generously sized bedrooms throughout. Beyond the glass: a garden of eden! Don't miss this entertainers paradise with a covered patio & tranquil pool. This slice of heaven won't last long, cal"
"Escape to the Texas Hill Country every day in just minutes! 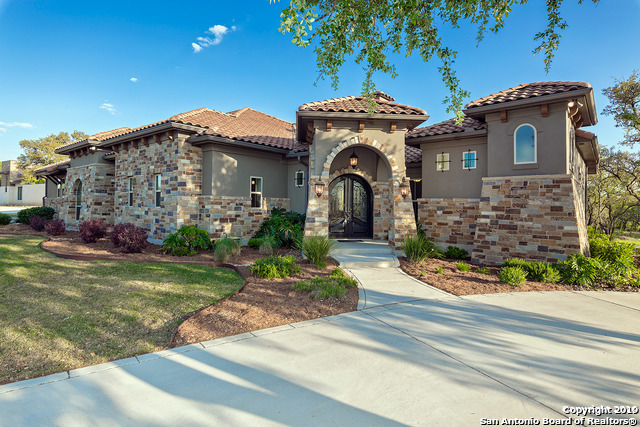 Step through the beautiful iron doors into this charming Mediterranean Style style home with soaring ceilings, exposed beams and a perfect layout for entertaining family & friends... Open up your space completely with double sliding doors and enjoy the spring weather in your outdoor living area. There is plenty of room for a pool! Head upstairs for some fun in the game room and retire at the end of a long day to your resort style master"
"The Canyons at Scenic Loop near The Rim, La Cantera, UTSA, Medical Center, Northside ISD; Gated Entrance, Underground Utilities, Excellent Restrictions; Thoughtfully CUSTOM BUILT w/ 40yrs. combined experience by Buttrum Custom Homes, High Ceilings, 8' Doors, 5.25 Baseboards, Outdoor Kitchen, Slab Countertops, Made-to-order Cabinets; Exquisite CUSTOM INTERIOR DESIGN finishes selected by RLO Design, Custom Iron Front Door, Marble & Wood Flooring, Authentic Light Fixtures, Truly One-of-a-Kind Home"
"This gorgeous custom home will begin in January 2019. Excellent opportunity to work with award winning Bayless Custom Homes on the perfect lot in the Canyons at Scenic Loop. This 4 bedroom 3 full bath home boasts 3400 square feet, open floor plan, gourmet kitchen with shaker style cabinets, farmhouse sink, level 3 granite. Wood like tile throughout, no carpet. Back patio paradise with Travertine tile, ventahood. Septic plumbed and designed for pool, prewired for cameras. Call today!"